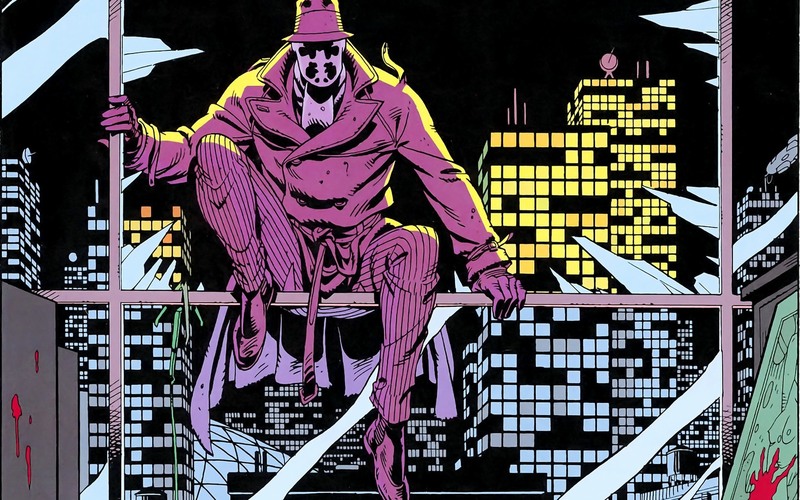 In a bizarrely written statement, Damon Lindelof, show runner for the upcoming HBO Watchmen series, stated that this isn't going to be the Watchmen we're used to. On why he won't cover the beats of the original, Lindelof explained that, "Those issues are sacred ground and will not be retread nor recreated nor reproduced nor rebooted." Then, he quickly moved to muddy that statement by saying, "They will however be remixed. Because the bass lines in those familiar tracks are just too good and we’d be fools not to sample them. Those original twelve issues are our Old Testament. When the New Testament came along it did not erase what came before it. Creation. The Garden of Eden. Abraham and Isaac. The Flood. It all happened. And so it will be with Watchmen. The Comedian died. Dan and Laurie fell in love. Ozymandias saved the world and Dr. Manhattan left it just after blowing Rorschach to pieces in the bitter cold of Antarctica." From baselines to the Bible in no time flat, we have a statement that, just, wow. I understand getting in ahead of fan backlash, but he could relax a smidge. There's saying that you'll treat the source material with respect, and then there's comparing it to the actual Bible--then going on to compare your show, which has no casting or story information at the moment, to the Bible as well. Dude's stretching metaphors to their breaking points.